to the Music of Life! Where the heart yearns for all truths. and she's here to empower you to go for your gold medal in life! to find that true happiness you've been longing for. Winner of twenty-seven book awards, including nine Parent to Parent Adding Wisdom Awards and two Mom's Choice Awards®, Dr. Shirley Cheng (born in 1983) is a blind and physically disabled award-winning author, Gospel proclaimer, motivational speaker, self-empowerment expert, poet; author of nine books, contributor to twenty-five, and an editor of one; and an advocate of parental rights in children's medical care. Bookmark this site, which is designed and maintained by Shirley, and check back often as she updates regularly! Want to live passionately and contentedly despite insurmountable challenges? Hope builds strong wings...let your dreams bloom, then you will discover the true bliss of life. "Shirley is an excellent writer and poet with a charm and intelligence that would make anyone envious. Her age and illness has never stood in her way of succeeding and embracing everything that life has to offer," commented Dorothy Lafrinere from WomensSelfEsteem.com. Would you like to book Shirley for your show, interview her for your publication, or do you need a motivational speaker who can touch deep within the hearts of your audience? "Although I'm blind, I can see far and wide; even though I'm disabled, I can climb high mountains." --Shirley Cheng "Let the ropes of hope in Jehovah haul you high!" Want to Be a Doctor? Now You Can, Without Going to Medical School, and Reap Eternal Rewards! Are You Fulfilling the King's Mandate? Can You Tame Your Beast? Is belief in God blind faith? No; faith in the one and only true God, whose name is Jehovah, is based on facts and undeniable evidences, one of which is the Bible. Archeologists have unearthed evidences of certain people, places, and events described in the Bible. The Bible stated certain scientific facts thousands of years before scientists proved them. No contradiction between Bible accounts and scientific facts exists. Hundreds of prophecies in the Bible have been fulfilled exactly as they were foretold hundreds and thousands of years before the events actually took place. Only a handful of prophecies have not yet been fulfilled, and these prophecies surround the return of Jesus Christ and the beginning of our eternal life. The ability to accurately prophesy events hundreds and thousands of years in advance is the striking trademark of the Bible, a feature unique only to this book. Isaiah 13:19-20 accurately prophesied the eternal destruction of Babylon centuries before it happened. What was once the world power lies in ruins to this date, exactly as the Bible foretold. It was something unimaginable when the prophecy was given, because it is like saying that the crowded New York City or Shanghai will be totally uninhabited forever in a month from now. By whom the city would be initially conquered was foretold as well: Persian Emperor Cyrus (Isaiah 45). In addition, the Bible prophesied Cyrus releasing Israelites from Babylonian captivity to rebuild Jerusalem, and it came true (Isaiah 44:28). Daniel 9:25 prophesied the exact year that Jesus would be anointed as the Messiah about 560 years in advance. Daniel 11:6-35 foretold dozens of historical events concerning the Ptolemy and Antiochus rule and dynasties. The book of Nahum foretold the eternal destruction of Nineveh, while the book of Obadiah prophesied the eternal destruction of Edom. All their prophecies came to pass. These are just a small portion of Biblical prophecies that have been fulfilled to the letter. Believing in Jehovah and His Son Jesus Christ and walking according to Jehovah's will is the only way to salvation (eternal life) for anyone who believes. Each person's eternal destiny is up to that person. Each of us has one decision to make: eternal life or eternal death? Eternal life begins with the knowledge of Jehovah and Jesus, and that knowledge lies only in the Bible, the book Jehovah Himself wrote for our instructions and proper living. Please, if you haven't yet, pick up a copy of the Bible and start your journey into truly knowing God. The below Bible articles I've written will help you understand some of the important topics you will read about. How Can We Prove That the Bible Is Completely Accurate and Trustworthy for All Truths of Life? Are You Created? Do You Know Your Creator by Name? Why Is It Important to Know His Personal Name? "The Father Is in Me, and I in the Father" - What Does This Mean? Why Is It Important to Know Our Heavenly Father? Faith and Believing in God: What Does It Really Mean and Involve? Hallowed Be Thy Name: How Do You Glorify Jehovah? Eternal Life or Eternal Death: Which Will You Choose? How Can You Live Forever? What is God's Purpose for Earth and Humans? Do You Want to Be a Part of His Divine Plans? Do You Have an Immortal Soul? Will You Live as a Spirit After Death? Eternal Hell: Where or What Is Eternal Hellfire? What Is Death? Be Kind to Your Enemies! But How and Why? Hope for Homosexuals - Are Homosexuals Automatically Condemned? What's the Idol in Your Heart? Are You a Sheep or a Goat? - What Makes a Christian "Christian"
We Are Created in the "Image of God" - What Does This Mean? Where Did Evil Come from? Why Does God Permit Evil on Earth? Beware of False Teachers! How Can You Identify and Combat Their False Teachings? True Prophets Vs. False Prophets--How Can You Tell Them Apart? Have Bible questions not answered here? Then ask Shirley or request a free Bible study via e-mail! She'll be more than glad to lead you to an answer. Remember, no question about the Bible is ever too small or stupid! Intro to the Fruit of the Holy Spirit: How Can You Start a Spiritual Garden to Grow an Everlasting Fruit? Parental Rights in Children's Medical Care - Where Is Our Freedom to Say No? "Shirley Cheng is a writer and poet with great insight, compassion, and beauty. Her upbeat positive attitude shines through her words offering the reader a glimpse of greatness. When you need a lift, choose any book written by this talented lady. Shirley is a role model," says Cynthia Brian, radio/TV personality and NY Times best selling co-author, Chicken Soup for the Gardener’s Soul, Be the Star You Are!, and Daddy’s Hands, Mommy’s Heart, Children’s Memories. Please spread the word and ask your local bookstores and libraries to carry Shirley's titles by giving them the ISBN numbers and tell them that the books are available through Ingram. October 2010: Do You Love Jehovah? wins Gold in the Mom's Choice Awards in Religion/Spirituality, making it this book's seventh award, and Shirley's twenty-seventh book award so far! May 2010: Do You Love Jehovah? has won three awards: Finalist - the National Indie Excellence 2010 Awards in Religion; Finalist - 2010 International Book Awards in Christianity; Finalist - 2010 International Book Awards in Christian Inspiration, making it this book's sixth award. Previously, Do You Love Jehovah? placed as a finalist in the National Best Books 2009 Awards in Christianity. 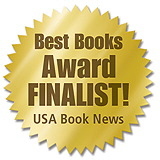 It was also a Second Place winner in the 2010 Written Art Awards in Spirituality/Religion sponsored by RebeccasReads.com, in addition to being an Honorable Mention in 2009 Reader Views Annual Literary Awards. January 2010: Daring Quests of Mystics has just been released in China by a major publisher! The audio recording of Waking Spirit: Prose & Poems the Spirit Sings is now available from the Braille and Talking Book Library. September 2009: Shirley's personal story is featured in the fall issue of Dr. Rick Warren's Purpose Driven Connection magazine in the article, "Getting to Know God" by Tom Hallman on page 50. Shirley's NEW book release: Do You Love Jehovah? God Almighty's Infinite Love & Wisdom to Propel You to Greatness Please note: Shirley does not belong to any denomination or sect. From the pages of Do You Love Jehovah? : As a result of the removal of God's name from most modern Bible versions, many people have automatically thought that I am a Jehovah's Witness just because I use God's name. This is a very sad outcome of man's disrespect of Jehovah. When we do not commemorate, honor, and use the name of God, we are going against His wishes. Regarding His name, Jehovah specifically said, “This is my name forever, and this is my memorial unto all generations.” (Exodus 3:15, American Standard Version) So while I do not belong to the organization of Jehovah's Witnesses, I am an individual witness to Jehovah. March 2009: Shirley wins her 20th book award! Embrace Ultra-Ability! won Honorable Mention for Body/Mind/Spirit in 2008 Reader Views Annual Literary Award. • Seven other Parent to Parent Adding Wisdom Awards™ including Adult Health & Well-being, Books - Inspirational/Christian, Gifts For Mom, Gifts For Dad, and Unique Products. January 2009: Waking Spirit has been named 2009 Silver Recipient of the prestigious Mom's Choice Awards® in Inspirational/Motivational. February 2008: The Vietnamese edition of Dance with Your Heart has just been released in Vietnam! The book is translated by Nguyen Bich Lan, a very talented and bright-hearted spirit, and is published by Women Publishing House. Embrace Jehovah to welcome ultra-ability! An Appetizer to the Bible: Do You Know the Truths? How can you delight in love warmer than the blazing sun, joy greater than swanning birds, and peace more serene than dancing doves? Waltz in harmony with Jehovah God Almighty and Jesus Christ to embrace all life's splendors. Why are you here? Where will you go? Are your enjoyments merely passing pleasures or everlasting treasures? Your answer to one ultimate question determines whether you will discover and be a part of the most sacred purpose: Do you love Jehovah? Besides answering life's colossal questions, Do You Love Jehovah? clears up some of the most commonly misunderstood teachings about the Bible--all by using guidance straight from the Bible itself. This book is non-denominational; you can be assured that you will not encounter religious bias. The goal of Do You Love Jehovah? is to empower you to study the Holy Scriptures on your own to develop a lasting, sacred, fulfilling relationship with your Heavenly Father. Do you want to take up this most important mission you could ever undertake, now? "...this book deserves to sit on the shelf next to the Bible...Shirley has all of the properties, emotions, logic and spiritual being that (Jehovah) was hoping to instill in each one of us. (Shirley's) ability to express her feelings, knowledge, and passion come through so clear in her writing--it is obvious she was born to teach and change people's lives. Her grassroots story telling makes this book an excellent read for individuals who haven't made the time to read the Bible. She has clear and concise ability to pin-point the most meaningful and beneficial points to live by through the word of God. Shirley's courage is contagious and I am envious of her passion and simplicity to explain her thoughts of faith in such a crisp and knowledgeable fashion. Shirley is a true leader where so many individuals fear to walk; a courageous teacher, her wisdom is fraught with urgency to reach others and spread her given talent. Where people lack to express their true feelings of God; Shirley's courageous soul is free to articulate her acknowledged belief system without judgment. I honor her experience of the Bible and respect her aptitude to express her commitment to God. This book would benefit anyone who has feelings of loss, loneliness, anger, selfishness, and low self worth. "Jehovah is not about a new shiny car or winning a political election, Jehovah is about eternal love and goodness for all. He wants nothing more for this world that He created than a spiritual balance and harmony. • Have you ever wandered about the bible and its meaning? • Why should I follow Jehovah's guidance and not some other religion? • Who is really Jesus and what is his purpose? • If Jesus already died for us, then why are we still being told we have a judgment day? • Do you think we are predestined? • Do you value your gift as it was meant to be valued? • Is there really a hell or a devil? • Who is Satan and his fallen angels? • What is the meaning behind the 10 Commandments? • Why is there so much suffering allowed in this world?" You save $7 from the regular retail price! Would you like to learn more about Jehovah God, His plans and purpose, and our future and mission? Would you like to develop and maintain a sacred, fulfilling, lasting relationship with our Heavenly Father? If you do, get a copy of Do You Love Jehovah? God Almighty's Infinite Love & Wisdom to Propel You to Greatness to start your journey in knowing the great Creator and being a part of His plans for us. All rights reserved. © All the contents on the website, including the excerpts, are copyrighted 2003-2012 by Dr. Shirley Cheng. No part of this website and books can be reproduced in any form or by any means without the prior written permission of Shirley Cheng.